Let me start this off by saying I'm not really a coffee person. I'm highly addicted to caffeine, but I generally prefer to take it in the form of energy drinks or something cold and sweet. However, I've reviewed some of Archer Farms bottled lattes on this blog: some good, some not-so-good, in my opinion. And as far as actual ground coffees, I've taken looks at Cinnamon Vanilla Nut, and another seasonal favorite—Pumpkin Spice. 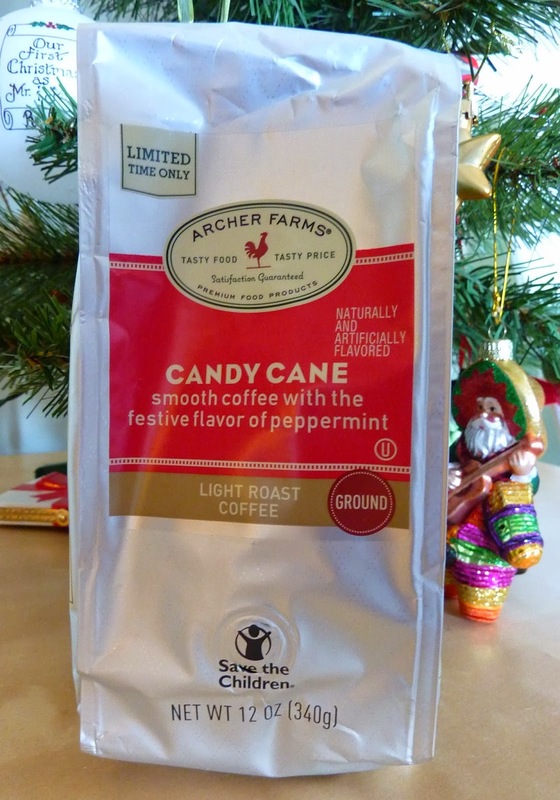 So let's check out this candy cane concoction, shall we? It's minty, that's for sure. Pepperminty. Which must be a word, if you ask me. I don't need a dictionary to give me permission to use it. It's a light roast, so it's not very bitter. I didn't need a lot of milk and sugar in this brew. It's mild enough for me. I felt like after drinking it my breath wasn't as bad as it normally is after drinking coffee. It's like a weird combination of sipping java and chewing breath-freshening gum at the same time. In summary, this is one of the few hot coffees I've had that I would even consider having on a regular basis. 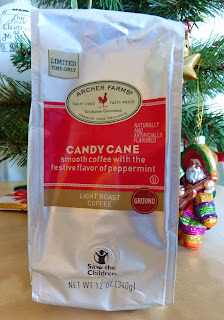 If you're into candy canes, peppermint, or just mint in general, this is a fun, festive, seasonal brew that might be a nice break from your normal everyday roast. Check out another review of this same item.